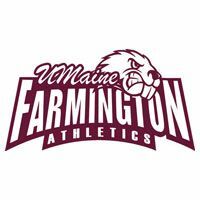 After dropping a pair of games to Castleton State College (4-2, 6-1), the University of Maine at Farmington softball team rolled past Green Mountain College 8-3, 10-2 to split a four-game set of North Atlantic Conference games at Prescott Field today. The Beavers (7-9, 5-3) were scheduled to face Castleton (11-17, 5-5) Saturday and Green Mountain (3-13, 0-8) Sunday, but Sunday's dreary weather forecast added the Green Mountain contests to today's docket. In the first doubleheader, Castleton swept UMF 4-2 and 6-1 to snap a seven-game losing streak. In game one, a two-run single by Sarah Flore (Springfield, Vt.) in the sixth inning broke a 2-2 stalemate to give Castleton the 4-2 win. Emma Vaillancourt (Saco, Maine) was handed the loss tossing seven innings, giving up eight hits, four runs (two earned), four walks and seven strikeouts. Emily Sweeney (Weare, N.H.) gave up two runs (both earned), on five hits, four walks and three strikeouts in seven innings of work to push her record to 4-8 overall. to set up the inning. UMF responded in the bottom of the fourth with a pair of runs to tie up the contest at 2-2. After McKell Barnes (Durham, Maine) flied out to center field to leadoff the frame, Samantha Morency (Lewiston, Maine) singled through the left side of the infield and Meaghan Donnell (Rochester, N.H.) notched an infield single to put runners at first and second. Liz Sargent (Trenton, Maine) drove in Morency with an RBI double to center field and Casey Mull (Portland, Maine) grounded out to first base to even the score headed into the fifth. After both teams went scoreless in the fifth, Castleton pushed two more across in the top of the sixth inning taking advantage of a fielding error. Pinch-hitter Julie Benzenberg (Pine Bush, N.Y.) reached first base on a fielding error by the third baseman to leadoff the frame. Sweeney, who was pinch hit for by Benzenberg, re-entered at first base and was successfully sacrificed over to second by Hannah Greene (Rutland, Vt.). Blongy singled to the shortstop to put runners at the corners. Fearon walked setting up another bases loaded situation. Flore came through for the Spartans roping a single to left field plating Sweeney and Blongy for a 4-2 advantage. In game two, the Spartans erupted for three runs on a double by Maltbie in the fifth to take a 4-1 lead en route to the 6-1 win. run scored and three runs driven in. Hitting third in the order, Fearon went 3-for-3 with one run scored and a walk. Barnes singled twice in the loss. Vaillancourt was dealt the loss going six innings, yielding nine hits, five runs (four earned), four walks and six strikeouts. Taylor Lively (Greenfield, Mass.) earned the victory (6-9) on seven innings of work, five hits, one run (earned), two walks and a game-high seven punchouts. Both teams exchanged runs in the third inning as Fleury scored on a fielding error for Castleton and Barnes plated a runner with an infield single for a 1-1 score. In the second doubleheader, the Beavers bounced the Eagles 8-3 and 10-2 in five innings. In the first contest, Barnes singled twice, doubled and drove in four runs to lead UMF to the 8-3 win. Morency also rapped two singles and a double, while Lily Barry (Hermon, Maine) doubled twice, Amy Jones (Augusta, Maine) singled and doubled and Shannon Mitchell (Portsmouth, N.H.) singled twice. The Beavers got off to a hot start in the first with Barnes' two-run two-bagger helping the hosts to a 3-0 lead. UMF led 8-1 before Karen Davidson (Seymour, Conn.) clubbed a two-run triple for GMC in the seventh. Chelsea Paul (Northville, N.Y.) singled twice in the loss. Kaitlyn Bartlett (Chesterville, Maine) grabbed the victory with six hits, six free passes and six punchouts in the complete-game effort. Cass Neimeth-Lazar (New Hook, N.Y.) was peppered for 12 hits with a walk and two strikeouts. In game two, the Beavers sent 11 batters to the plate in six-run third that helped the hosts to the 10-2 win via the mercy rule in the fifth. Morency's two-run single highlighted the third-inning outburst. The Beavers sealed the win when Mull's sacrifice bunt was mishandled, allowing Sargent to scamper home, in the fifth. Mitchell was the lone repeat hitter for the Beavers with two singles and a double. Emma Lord (Greenville, N.Y.) had an RBI groundout and Kris Belessis (Augusta, N.J.) scored on a throwing error to account for the Green Mountain runs in the third. Anna Piggott (Manchester, Conn.) struck out three and walked three in a three-hit win. Lord allowed eight hits with two walks and two strikeouts. Pitchers: Castleton - Emily Sweeney. Me.-Farmington - Emma Vaillancourt. Pitchers: Castleton - Taylor Lively. Me.-Farmington - Emma Vaillancourt; Anna Piggott(7). Pitchers: Green Mountain - Cass Neimeth-Lazar. Me.-Farmington - Kaitlyn Bartlett. Pitchers: Green Mountain - Emma Lord. Me.-Farmington - Anna Piggott. Lord faced 2 batters in the 5th.